Approaching Generation Y (or the millenniums) with terminology belonging to another generation and making big generalizations brings more harm than advantage. I think this topic in essence is about the nature of change. I believe in people’s potential to change. But important changes happen only when there is a real need for them, so when the change is a matter of life and death (or it is perceived as such). If there is not a similar obligation for change, people hold onto the values they gained growing up. Most people adopt the values of their time as if they were their own. We can conclude that 95% of the people are shaped by the tools and values of the time they grow up in. They don’t really question the dominant norms as a society and embrace the change. So except for the contradictory 5% that live the change, the 95% are “people of their own time“. These dynamics are valid for every generation. In the eyes of the baby-boomer generation, the X generation was a herd consisting of distorted values, rebels and hippies who failed to understand life. Look at this rebellious youth! Today, generation X is judging generation Y due to their different value judgments. Yes, I think the essence of the matter lies here. Being judgmental about another person is based on the idea of being superior. It not easy at all for a generation that has lived at least twice longer, gained more experience, seen more and taken more responsibilities not to judge the following generation. This condescending is instinctual. I feel the same feelings when I hand myself over to my 18-year-old hairdresser, when I’m calculating which year he was born in. 2018 – 18. 1998. He was born in almost 2000. Hope he doesn’t slide the razor. You might be thinking: How do we understand the millenniums? How do we get along with them? How do we handle the change that will come when generation Y will outnumber generation X in 2020 in business environments? The solution lies in first getting rid of the judgmental view. In his world where sales techniques are evolving, the latest point we have arrived is “designing customer experience”. Technical or psychological benefits are no longer enough on their own. Those who design the customer experience of purchasing a product of a service completely correctly make successful businesses now. And designing the correct customer experience is possible through putting yourself in the customer’s shoes and seeing the world through his eyes, needs and desires. When understanding the millenniums, one needs to do the same; view the world through their eyes. And this is not possible when judging them and thinking only your truth is correct. So the second hint is showing the value flexibility that will enable viewing the world through their perspective. Forget about age categories. Evaluate people through their values, beliefs and work they do. A brand new world is being built. You might not realize this when you look at a flat valley, but this will show itself much more clearly when you check out www.alexa.com. Alexa is a website that indexes the websites in the world and lists them according to their popularity and effect. According to both Alexa’s and other resources’ data, there are currently more than 1 billion websites in the world. Actually when you’re reading this sentence, 4 new ones are opened. They are the natives of this world that is the product of a huge effort, thinking, creativity and collaboration built in an incredible speed. And we are spending more and more time in this world. 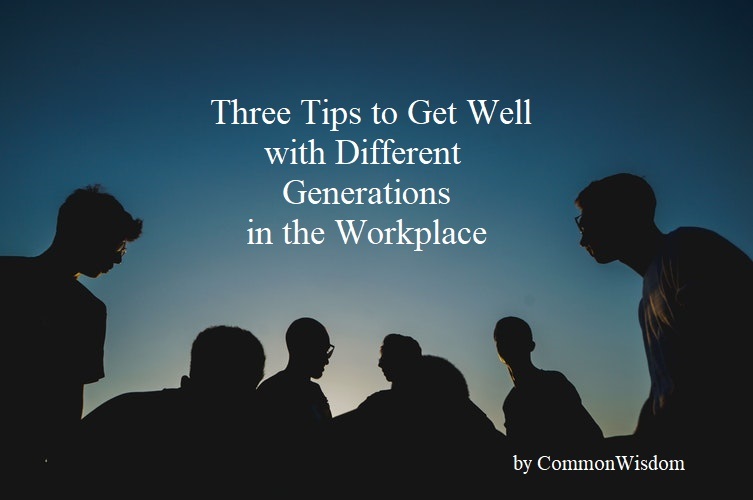 While the companies of generation X are being destroyed by those of generation Y; notions like office life, business-life relationship are being redefined. But I have good news! I doubt that this Y generation that is referred to as the millenniums by X’s will feel the need to do similar definitions for the following generations. Both my research and personal observations tell me that this generations is used to working with people from different age groups. They have a higher tendency to evaluate people not according to their ages but to the depth of the information and work they produce. Because this generation has witnessed Kristoffer Hassel who managed to hack Misrofost XBox Live’s security system when he was 5(!). They also witnessed “c0mrade” that managed to hack NASA’s website when s/he was 15. Kristoffer von Hassel (5) hacked his father’s account when he couldn’t turn on his XBox to play games. Let’s not judge a person we meet based on their age. Generation conflicts will resolve themselves.